AE-Resource: What Are the Best Marketing Tactics? 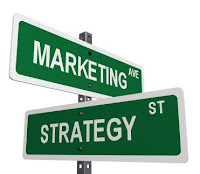 What Are the Best Marketing Tactics? I've noted in this space before that I think marketing (as contrasted with sales) is grossly undervalued in our industry. I suspect this is due in large part to the fact that few A/E firms do marketing well. One of the best ways to confirm this conclusion is to look at which marketing tactics are deemed most effective in other professional service sectors. I think you'll find that none of these is commonly used in our business. In preparing for work with one of my clients, I recently researched best marketing practices for professional service firms and other B2B marketers. I looked at surveys conducted by RainToday.com, The Bloom Group, MarketingProfs, Junta42, BlissPR, and the Association of Management Consulting Firms. These surveys asked marketing professionals to rate the effectiveness of various marketing tactics. A couple notable observations emerged from my research. One was a remarkable correlation between the surveys. There was general agreement as to what worked well and what didn't. That, of course, lends added credibility to the ranking of tactics provided below. The second thing I noticed was the clear advantage of various forms of content marketing. I've written on this topic before, and have pointed out that this is not common practice among A/E firms. 1. Seminars and other in-person events. There's no better way outside of project work to demonstrate your firm's insight and expertise. This category includes both firm- and third-party-sponsored seminars, and both paid and free sessions. "In-person events" can be a rather broad category, but here refers to issue-driven, educational events such as roundtables, forums, and workshops. 2. Conference presentations. If you want to avoid the expense and hassle of sponsoring your own events, the next best choice (other than having someone else sponsor your seminar) is to speak at industry conferences and trade shows. By the way, this has been by far the most effective marketing tactic I've used in building my business. 3. Webinars. While their educational value can be questioned, webinars are clearly an increasingly popular alternative to attending conferences and seminars. They're relatively cheap and convenient, and should be part of your marketing arsenal. Providing your own is better, but working with trade groups and other third-party sponsors can also be effective. 4. Articles in third-party publications. The key to success with this tactic--besides writing good stuff, of course--is placement in publications that your clients read. Print publications are still important, but the growth of online sources is far outpacing the traditional medium (and most print publications are also available online). 5. Search engine optimization. This tactic is all about increasing traffic to your website and any other internet venues (e.g., blog or social media sites) where your firm can be found. Some technical know-how helps (which may warrant hiring some outside help), but much of it involves strategically enhancing your firm's web presence. 6. Articles posted on your website. This one surprised me, a tactic with an obvious caveat. If you're only generating minuscule traffic to your site, posting articles there won't help much. The implication is that this tactic must be part of a larger strategy to enhance your website's popularity. Placing good content there (which is rare among A/E firms) is key, as well as doing some search engine optimization. 7. PR pitches to journalists. There's some benefit in sending out press releases, but having reporters and other journalists contacting your firm's experts as valued sources is even better. Or having them write an article or do a news spot about your firm. The downside--which you're aware of if you've ever been interviewed or been in the news--is the difficulty in controlling the message. So as with item #6, I present you the results with a little reservation. 8. Email newsletter. Publishing a newsletter is among the more popular marketing tactics in our business. But many firms still prefer hard copy and the content tends to be too self-congratulatory. It may surprise you that print newsletters did not fare as well in the surveys, although some obviously prefer print over digital. I'm convinced that the email format has many advantages, including the ability to use other people's content. For more on this, check out this earlier post. That's not to say that these should be avoided as part of your overall marketing strategy. But many firms rely heavily on tactics like these while largely ignoring the more effective ones. Social media is a bit of an enigma and perhaps a surprise inclusion here among the less effective tactics. For one thing, these same studies indicated that firms are dramatically increasing their spending and activity in social media. It's potential is promising and still evolving. But one thing is clear; it is more potent when combined with strong content. I've addressed social media at some length in two previous posts (post 1 and post 2). Those are the results of the surveys, at least. They generally conform to my own experiences. What about yours? I'd love to hear which marketing tactics you've found work best for your firm. I've been discovering some interesting linkages between activities low on your list, and high. For example, my blog has led to really high search engine rankings (I update it daily with original content.) This coupled with a book and some informal in-person relationships has led to my first speaking engagements, which create even more leverage (book sales, general feature sales etc) in a wonderful expanding marketing loop. Ironically, most of our revenue continues to arise from special advertising features supported by suppliers in print/online media -- an approach to promoting AEC businesses that is controversial and (according to what I've seen at the SMPS) not that highly regarded by most marketers. But of course the other aspect of the story is the client experience -- the whole reason for the blog, book, and research is to deliver "wow" value to our clients so no one truly wastes their money when they spend a few hundred dollars on a supplier-support advertisement. Thanks for the feedback. I think you're absolutely right concerning how various tactics interact and complement each other. Therefore I would not advise anyone to rely too heavily on the list. The most interesting aspect of the list to me is how little any of the top tactics are used to any significant extent by A/E firms. I'm glad to hear that your book is paying off. I would love to have one of my own. In fact, it's been in my plans for years. But I think the only way I'll get one done is to make it largely a compilation of my blog posts and articles. Just found my way here from Mark's blog. I think there's a bit of a disconnect there between "articles online" being good and "blogs" being bad. Blogging is one of the best ways to get your stuff online. It can then be linked to in Twitter, Linked In, etc to be pushed to the larger A/E community. But I agree, you need content and not just self-promotional blather to get people to sign up or keeping coming back to your site. Thanks for the feedback, Melissa. I obviously blog, so I find value in doing it. I'm simply reporting the composite results of the surveys I looked at, and apparently professional service marketers haven't found blogging as effective (not "bad") as other marketing tactics. Why articles posted on your website are more effective, I don't fully understand. But I will say that I have long questioned the effectiveness of blogging in getting in front of decision makers, at least in my business. Yet the content I've generated through blogging has been very helpful in both my marketing and sales efforts. out more of your site! Bookmarked! Can Clients Count On You?